Showing recent results 751 - 765 of 4364 products found. 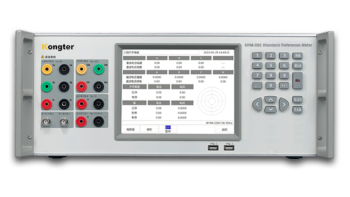 Phase: 3Accuracy: Class 0.05AC voltage measurement: 0-660VAC current measurement: 0-120AWith high accuracy and reliability, SRM-362 is used as standard reference meter to test electric meter, energy meter and all kinds of AC electric quantity. These make it widely applied in measurement center, power supply corporations, power stations, quality control departments, research institutions, universities, manufacturers of electric meters, etc. Hand-held vibration meters are used to measure vibration in rotating machinery for all types of commercial and industrial applications. Manufacturing maintenance personnel use vibration meters to trend vibration levels and protect critical machinery assets. 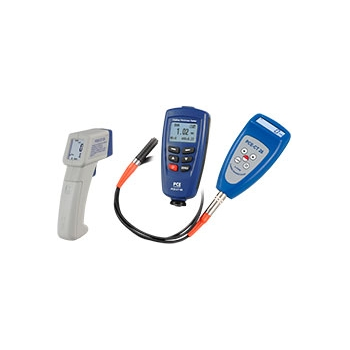 Quality control, laboratory and research and development technicians use vibration meters to audit product and control chemical and pharmaceutical processes. Field service contractors use vibration meters to check equipment installations. From aerospace to oil and gas, pharmaceuticals to power generation, vibration meters are being used in new applications every day to extend the life-cycle of machinery. At PCE Instruments, we have coating thickness meters to determine the thickness of various layers of corrosion and layers of paint. Coating Thickness Meters for determining the thickness of paint and surface coatings. 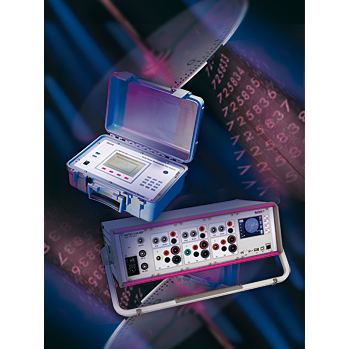 The principles for measuring the coating thickness meters is by the magnetic induction or by means of analysing an eddy current. The coating thickness meters can be used on all surfaces of metallic materials (metal, iron, non ferrous metal alloys). Therefore these devices can not miss a place where galvanising processes are carried out. Coating thickness meters are particularly suitable for quality control in the process of anodising, or galvanising. Here you will find diverse ohm meters to measure impedence quantities in different fields of both the electro technical and electronics, some can also be used as multimeters. All our ohm meters come with a wide and easy to read display as well as aOhm Meters to measure electrical quantities in different fields of both the electro technical and electronics very easy to use control panel. 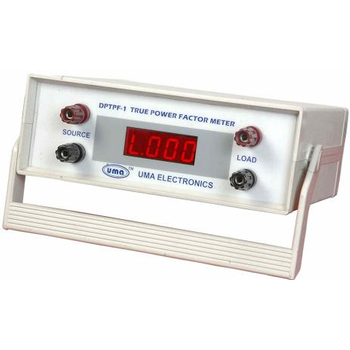 Ohm meters are mainly used in vocational training, in school, in industry and also in the workshop. Besides, they are used for professionals for their high measuring accuracy capabilities. Here you will find a lot of ohm meters for high, medium and low potential measurements. 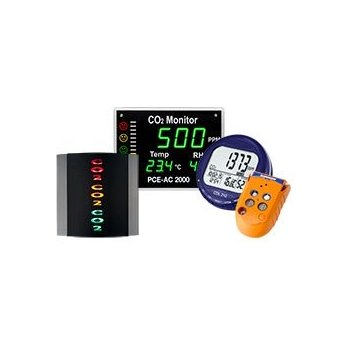 In this category you will find an overview of our carbon dioxide meters which are especially made for the Carbon Dioxide Meters determination of the carbon dioxid content in the air. These carbon dioxide meters warn optically or acoustically when the carbon dioxide content is critic (depending on the model). Moreover, some models support the function of switching relays when an adjusted value is exceeded. This function can help with the automatic conditioning of rooms. The auto calibration function of some carbon dioxide meters makes an easy calibration of carbon dioxide meters possible. Some models support the function of data storage and further data transfer of measuring results to a computer. 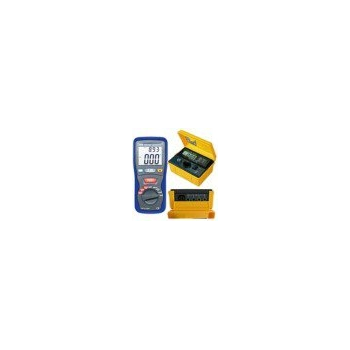 The Portable Small Meter Tester (PSMT) is a lightweight system for field testing of 5/81 in. meters. 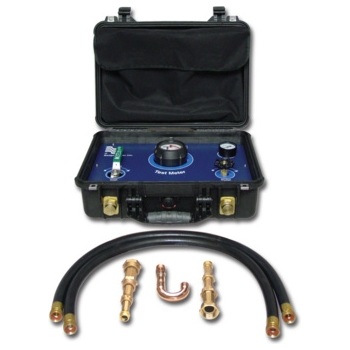 It includes a test meter with control valves, hose connections, fittings and pressure gauge. Meter tests can be done without removing them from service. The inlet control valve ensures an accurate test start and stop. A globe valve downstream from the meter allows flow rate adjustment during test. Connection to the PSMT is made using standard 3/4 in. male hose connections located on the exterior of the case. Two 3/4 x 39 in. metal-reinforced flexible hoses are provided for easy field connections. Dramatic advances in the field of measurement technology and the use of state-of-the-art micro-electronics have led to the development of a new generation of electricity meters which are far more accurate than their predecessors of just a few years ago. As well as measuring the exact amount of energy used, a high level of integration enables electronic meters to perform a number of additional functions. As a result, these meters are also more sensitive to network irregularities. This means that regular testing is the only way to ensure that a meter functions correctly, both during final factory tests and during the entire life span of a meter. 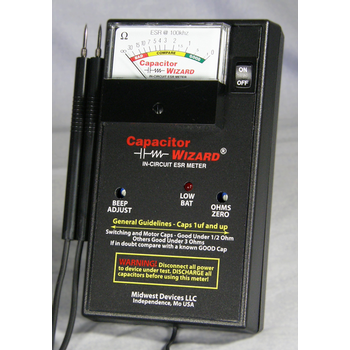 Equivalent Series Resistance Meter / capacitor tester. 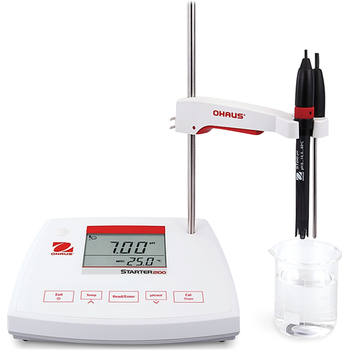 precision is now available in a line of benchtop pH meters. Surface Mounted Single Phase Kilowatt Hour Meter.